Edeskco.com is Here to Help! 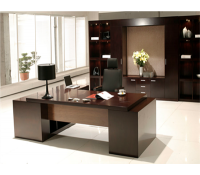 When looking for the ideal executive desk for your office you may find that the selection can be overwhelming. How can you make a decision that you will be happy with for the years to come? We at Edeskco.com are true experts in the world of office furnishings and that is why we invite you to ask lots of questions from our truly experienced and knowledgeable staff. We know that your office furniture is something you have to use every day and so it should be functional and practical. We also know that you have to look at your furniture everyday and that it needs to represent your business in a positive light so it should be current and attractive. The Fion B Executive Desk – This streamlines and beautifully crafted desk offers you simple visual appeal and ample work space. You can have both modern style and functionality with this rich wood desk. The Fion B is a great option as it offers custom choices as to size and color. The Vera C Executive Desk – Modern sleekness comes to life in the Vera C desk. This wood and glass desk offers ergonomically practical space without costing you modern design. Customize this piece to fit perfectly in your work space. Edeskco.com can answer all your questions and help you to get this desk customized to fit your needs perfectly. The Sam C Executive Desk – The Sam C is a simple yet elegant executive desk that will fit into a modest budget and give your office contemporary edginess. Use customization to give the desk just the look you want and have a desk that you will enjoy sitting behind for years to come. Whatever your needs, whatever your desires, Edeskco.com is committed to providing you with the options and designs that will satisfy you. Find out more today by seeing our extensive online collection and by tapping into our experience and knowledge. Executive of ITT, Harold S. Geenan said once “You can know a person by the kind of desk he keeps”. Mr. Geenan certainly spoke from experience as he wielded brilliant executive power from behind his own desk. Over a short period of time Harlold S. Geenan took a moderate sized business and grew it into a multibillion dollar, multinational power house. No doubt his experiences in the corporate ring and his knowledge of business realities lead him to say the above words. The importance of the executive desk that we choose is highlighted in Mr. Geenan’s words and philosophy. Just as a sea Captain would not choose to take his crew out of Port without a ship befitting his status, so the business executive should feel confident that his desk represents him well. Careful selection of the proper desk will demonstrate the value of the man or woman that sits behind it. Consider two stunning designs with the Lattier and the Kaysa executive desks. Bold and sophisticated design is combined with high quality materials to give you a one of a kind modern desk. Find these and other executive furnishing at www.Edeskco.com and let the business world ‘know the person you are, by the kind of desk you keep’!